Providing information and resources to clients is an important first step to establishing a relationship of trust. 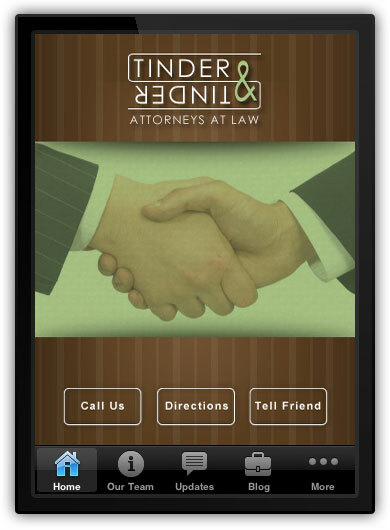 Using your app, your firm can give access valuable documentation, articles and consultation directly to your clientele. We also offer newsletter and form integration for data collection and the ability for users to call any extension with a single touch. Keep in touch with clients by collecting names and email addresses from inside your app. Publish articles and resources via RSS feed so your clients can be as informed as possible. Customers can send case related photos from within your business app. Multiple ways for your clients to contact you through your business app including phone, website, email and directions.